Cast and crew of Dhadak are on cloud nine after the film had a successful run at the box office and managed to cross the Rs. 100 crore mark. Despite having new faces, the Hindi remake of the Marathi blockbuster was appreciated by the audience as well as the critics. Janhvi Kapoor, Ishaan Khatter and others were snapped attending the success bash of the film in Mumbai on August 9, 2018. 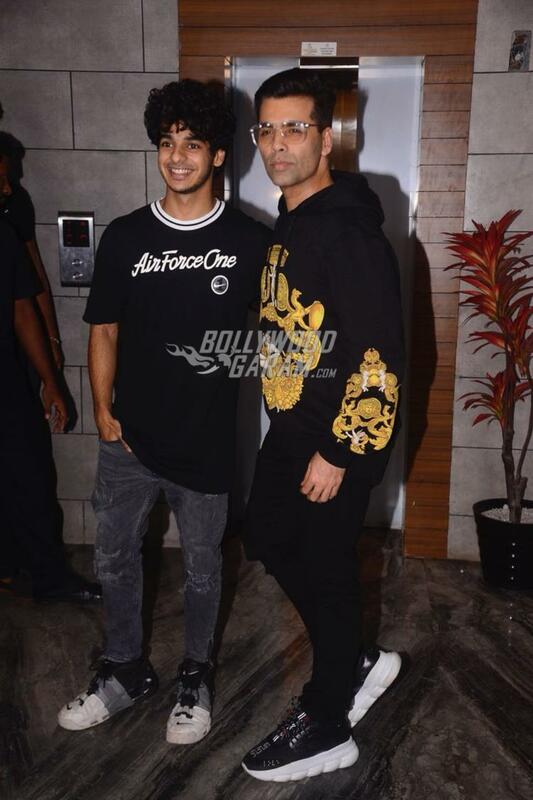 Late actress Sridevi and Boney Kapoor’s daughter Janhvi Kapoor looked stunning in a glittery black outfit while Ishaan complimented her well in a black casual t-shirt and a pair of denims. 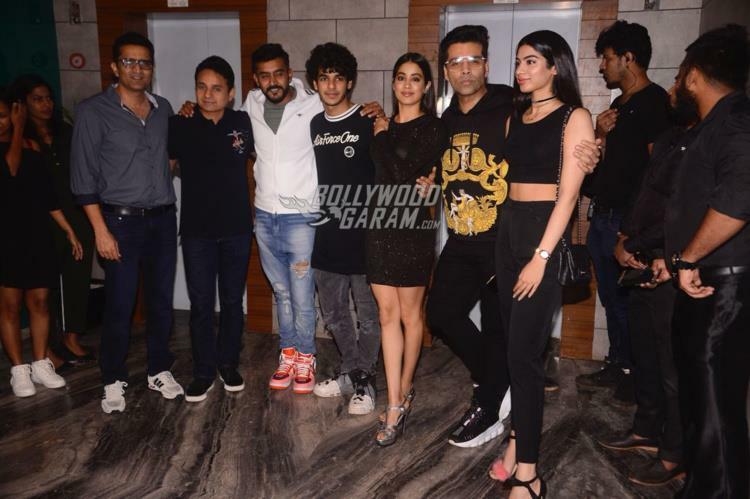 The success bash also saw the presence of producer Karan Johar, director Shashank Khaitan and Janhvi’s younger sister Khushi Kapoor. Khushi Kapoor too looked gorgeous in a black wide legged pants and a black crop top. Actors Janhvi and Ishaan shared a great chemistry in the film which worked like magic for the film. The actress is also roped in for the upcoming Dharma Productions film Takht.